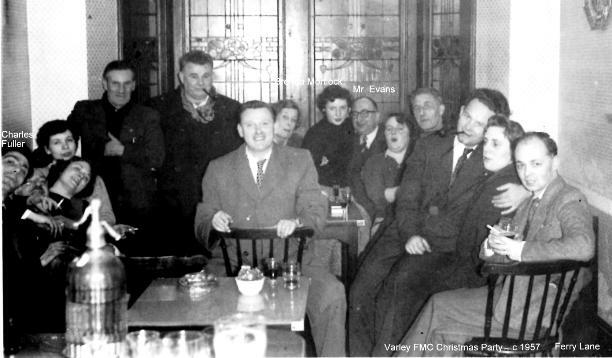 Brenda Bostock (nee Mortlock) had provided two photos from her working days at Varley FMC (Food Machinery and Chemical Corporation), Ferry Lane, with some names included. See more of her memories and photos. 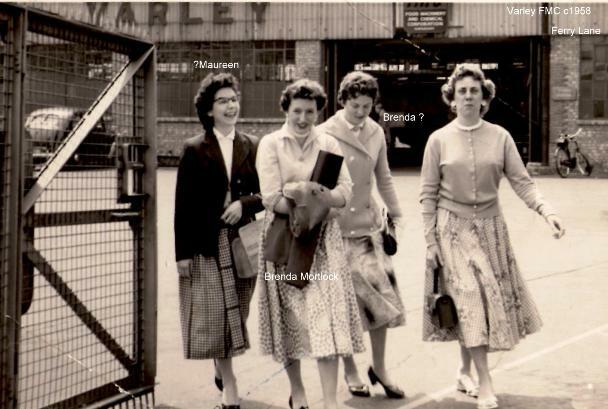 The first shows Brenda and three work friends leaving the factory around 1957/1958. Note the full skirts, just below knee length, and smart shoes. She adds Maureen Hodge and Brenda Petch have since passed on.